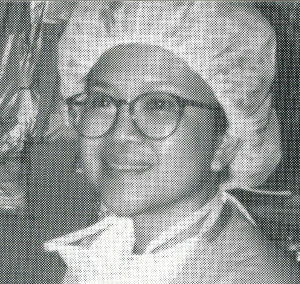 I have been an ophthalmic nurse for 15 years. When I was at Manhattan Eye Ear and Throat Hospital, I learned about Dr. John P Mitchell’s medical mission to Lascahobas, Haiti. I went for two years. At that time there was no hospital in Lascahobas and the cataract surgeries were done in the Children Care Nutritional Center; it was the most rewarding experiences of my life. When I worked at Lenox Hill Hospital for three years I was not able to go with the team, but I kept in touch with Estelle and Dr. Mitchell and helped whenever I could, from collecting supplies to packing for the trip. Now that I am back at MEETH, I am looking for to go with the team in February 2001. It will be a pleasure to work at the new Lascahobas Hospital. I salute Estelle Dubuisson for all her hard work and her commitment for a better health care in her town of Lascahobas. Because of my experience in Lascahobas, I was able to sponsor a medical mission to my hometown in the Philippines last year. Friends of the Children of Lascahobas truly appreciates your time in learning about our cause and mission. Read about the full story. Friends of the Children of Lascahobas is a 501(c)(3) organization. Gifts are deductible to the full extent allowable under IRS regulations.